The London based startups that we are travelling with will be pitching to a panel of New York investors including Thatcher Bell, John Frankel, Kathleen Utecht and Angela Lee. 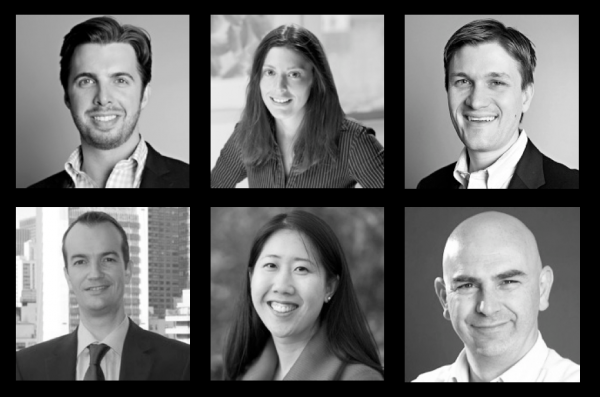 The flagship event of the week will be a Dragon’s Den style angel investing pitch event on Monday night. The startups pitching include Love Home Swap, Platter, Footfall123, Blottr, Storygami, HipSnip, Sanona and Blooie. We’re also travelling with some other exciting startups including Prepict, Incredibli, What Users Do, Makerble, Juice.me and DeadSocial. Planning the trip has made me reflect on why I moved to London and why I chose to live in Clerkenwell (close to Shoreditch). London is an amazing centre of finance, fashion, design and creativity. All things that it shares with New York. I lived in San Francisco for a few years when I was younger, studied at Berkeley and spent a lot of time in Silicon Valley hanging around to absorb the atmosphere. So I’ve got just enough knowledge of each city’s startup scene to be interested in how they are different. – Less of a technology bias in the investor community. – Easier access to customers. – Easier ways to expand your community and network outside the tech industry. There are lots of other factors, and I’m particularly interested in access to talent, other expats, startup support, co-working spaces and good coffee. To me, each of these play a key role in creating the right environment for a new business to flourish. 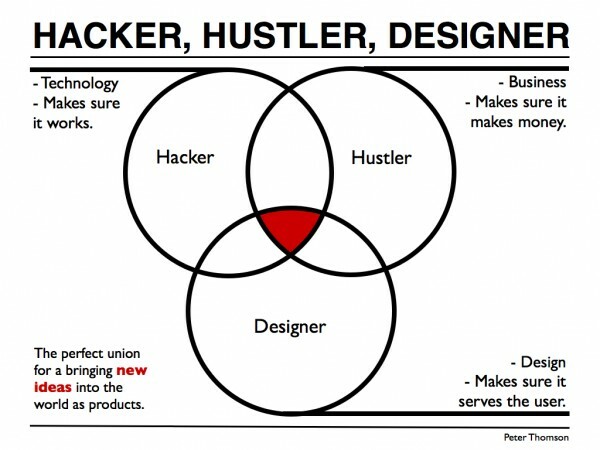 The perfect union for a startup is a hacker, a hustler and a designer. New York is a great place to find two of these three groups (hustlers and designers). So developers will find the co-founder pickings better in New York. The same balance is also true in London where good developers are the scarce resource. Silicon Valley has more developers but they are also in high demand so it’s not an easy place to hire engineering talent. The hackers also set the tone of the community so it can be less of a great place for business people and designers who want to be the key founder. The Stanford MBA is excellent but the wow factor at Silicon Valley cocktail parties is a Stanford Masters in Computer Science. In London I’ve made lots of great local contacts but the best have been other expats. The bond formed by being strangers in a big city is a great way to get to know people quickly. New York is filled with immigrants from around the world and you’ll quickly make friends. My peers who have lived in New York have all met more new people in their time there than in any other city in the world. It’s a hive of activity and connections. Silicon Valley is very connected once you’re in. But getting in takes time. One night at Silicon Drinkabout (a London Technology Meetup) or NYTechMeetups and you’re instantly connected. In New Zealand, I worked with the Icehouse Business Accelerator during its formative years. The incubator got started well with partnerships with BCG, HP, Microsoft and BNZ bank. Andrew Hamilton has been a strong leader for the group and the activities of the Icehouse have expanded over the years to include angel investing networks, education programmes and new models for collaboration. New Zealand has a small technology startup community so everyone knows everyone. Incubators and accelerators create buzz, momentum and a centre of gravity (even for companies that aren’t actually members). Silicon Valley and San Francisco are world famous for startup support, incubators, accelerators and co-working spaces. But in practice you need to fight hard to get into the good ones and the ecosystem isn’t as easily accessible to new immigrants as programmes in other cities. New York has some great co-working spaces and I’m looking forward to visiting General Assembly, WeWork and New Work City. The incubators and accelerators in New York are also taking off with a vibrant angel investing scene. In London, I really enjoyed working from the Central Working Cafe at Google Campus when we were first getting started. Google Campus was a bit too noisy to get real productive work done but it’s a fun place to hang out and meet other entrepreneurs. The Innovation Warehouse has a totally different vibe and is a much more productive space. I’ve visited and/or worked from Wayra (sponsored by Telefonica), Mozilla, TechHub and the other Central Working locations. They are all very different from each other. The diversity of startup support and co-working spaces in London is a real accelerant of company growth. If you’re not ready for a co-working space or business incubator then the default venue for a startup these days is a coffee shop. Starbucks used to fill this role in San Francisco, New York and London. But the big chain coffee stores have become too impersonal and too full of hustle, bustle and tourists to be productive spaces (not to mention the quality of the coffee). These days, a trace indicator of a city’s startup friendliness will be the presence of small, cool, independent and high quality coffee shops. 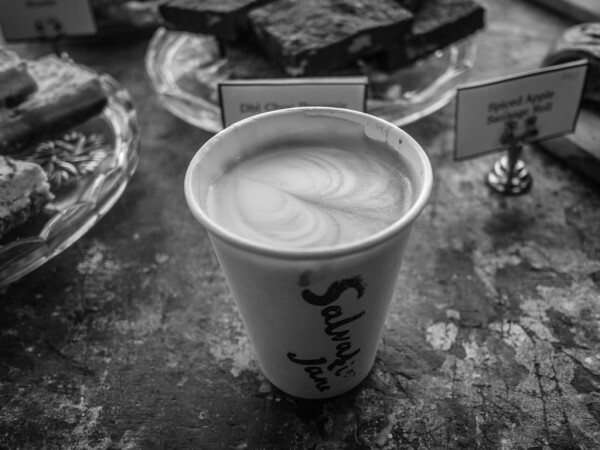 The Shoreditch cafes in London provide a hotbed of entrepreneurial energy. London has embraced the Flat White culture from New Zealand (and Australia) with open arms over the last three to five years. There are dozens of small, local cafes that attract entrepreneurs, business meetings and evening meetups and encourage serendipitous encounters. San Francisco has always had a good cafe scene but the average quality of the coffee isn’t as good as you’d expect and the cafes are spread all over the Bay Area and Silicon Valley. The closest I came to a cafe at the epicentre of Silicon Valley was the Borders Bookstore Cafe (not exactly a free-spirited bastion of dissent). I know this isn’t fair to the other cafes in the area, but Silicon Valley simply doesn’t have the same heart and buzz as London’s Shoreditch. New York has a fast growing cafe scene and I’ve heard good things about the new coffee roasters that are moving into the city. I’ll have to wait until after the visit to comment on whether the cafes are acting as meeting points for entrepreneurs and innovators. But I’m looking forwards to visiting Grey Dog and Cafe Grumpy. The best place to start your business is the one that you’re in right now. It took me a couple of years to settle into London; moving to a new city can be pretty disruptive. I found that London was a great place to win clients and find co-founders but having an established network would have made things easier and faster. You should also consider the ease of banking, internet connection, company formation and trademark protection. New Zealand, USA and UK all rank highly on the Ease of Doing Business rankings from the World Bank. 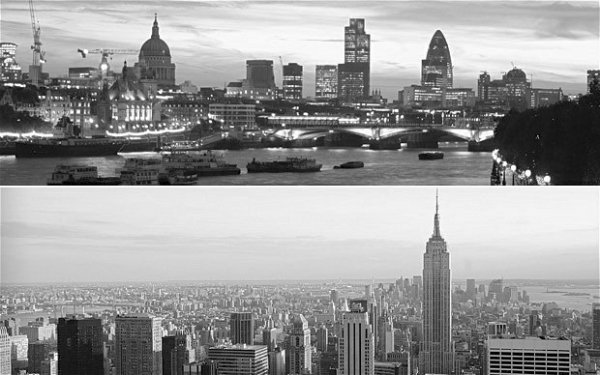 But if you are mobile, London, New York and San Francisco are all amazing cities. I’m still not quite sure which is a better first base in the USA, Silicon Valley or New York but I’m determined to find out. You can weigh in on the issue on Quora. Great post and useful insight, enjoy the NYC trip. Looking forward to hearing your storys from this startup and coffee adventure! Good post Peter. I went on a start-up mission to San Francisco in January which involved UKTI and as a Hustler out of the group I found SFO to be good but perhaps my thinking was focused around where the customer would come from if I was to build a startup which would be more NYC. Having travelled to NYC for Internet Week the last few years I can say the buzz matches San Francisco, and has the added benefit of being closer together than San Francisco and Palo Alto which is a good 30-40 minutes on the freeway. Also good coffee is very important to me too, and I couldn’t seem to find any good places in San Francisco, maybe I didn’t look hard enough.